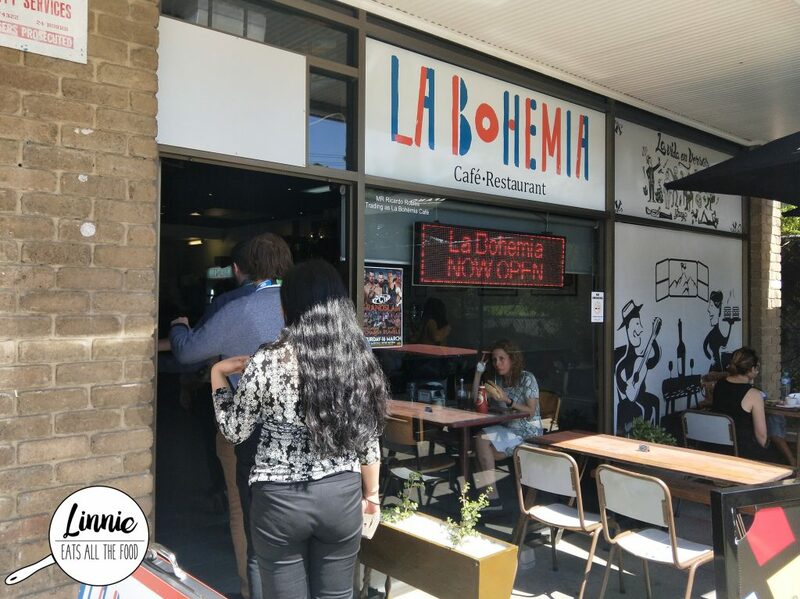 La Bohemia cafe is a little gem hidden away in Nobel Park. It’s small, cute and ran but friendly staff. We ordered our meals the day before (we had that day) so we could eat quickly and get back to the grind after lunch. The food came out quick smart and we were ready to chow down. 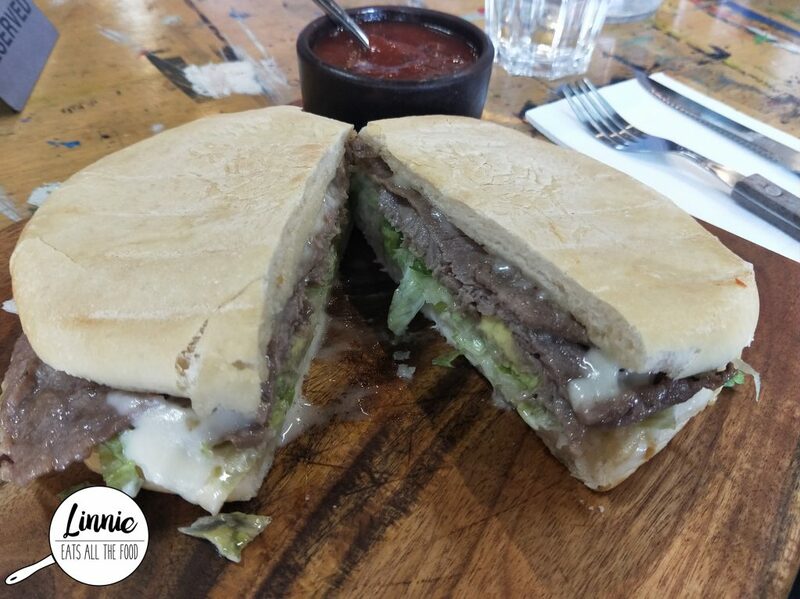 The churrasco is a sandwich filled with porterhouse, fresh veggies, avo and their homemade mayo. It’s a GINORMOUS sandwich and the it’s a generous amount of filling too. The mayo was delish and there’s some sort of hot sauce and if you put it in the sandwich, BAM, it changes the whole thing entirely. However, I did feel like it was missing something, a touch of saltiness or something to tie in all the flavour. The chacarero is the same as the churrasco except instead of the lettuce and fried onion, it has green beans (how exotic does that sound!). Yep, this was GINORMOUS with heaps of filling and the beans gives it nice zing. The beans weren’t crunchy but more of squishy squashed beans. Like the churrasco, it was also missing something to give it oomph. The staff are super friendly and we were able to order our meals the day before so by the time we got there, our food was all ready to be eaten. The portions are MASSIVE and the sandwiches were pretty decent too. 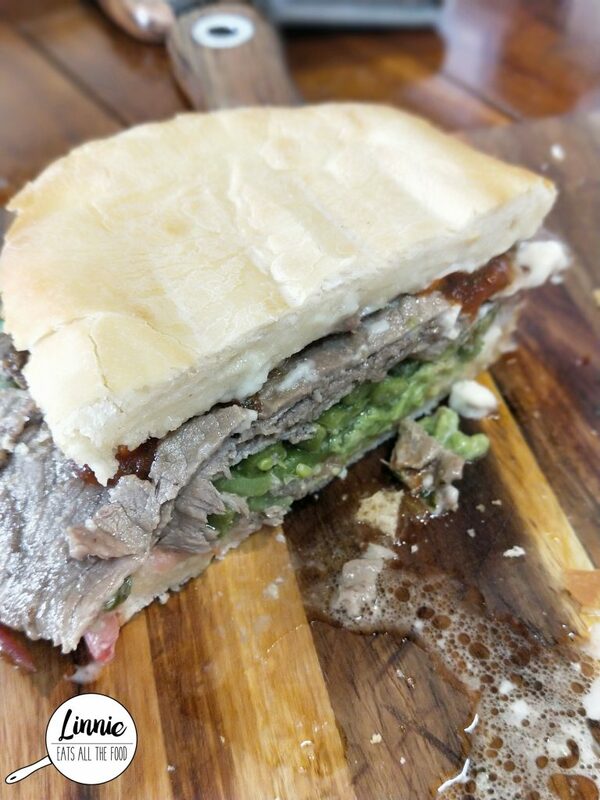 If you’re in the area, it’s definitely a place to check out for some local Chilean food.